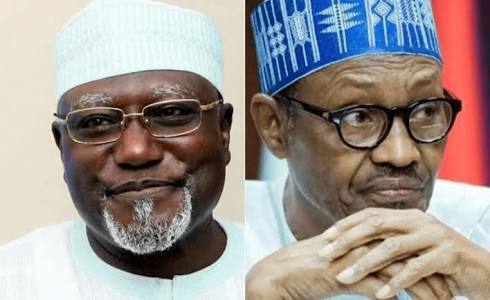 Following his return at the weekend, President Muhammadu Buhari is set to determine the fate of the former Director-General of the Department of State Security Service, Lawal Daura, who was removed from office on August 7, by vice president Yemi Osinbajo. Cabinet and kitchen cabinet members of the President are said to be holding divergent views on Daura's sack. Apart from the report by Police Inspector-General Ibrahim Kpotun Idris which was submitted to Osinbajo, other findings against Daura remained confidential last night. Although the Special Adviser on Media and Publicity to the President, Mr. Femi Adesina had said the presidency was one on the action taken against Daura, it was learnt that the sack was trailed by some intra-cabinet rumblings. *Likely reinstatement of Daura or redeployment to any agency in the light of the findings by all the agencies, especially a declaration by the DSS that no cash was found in his home. *Possible restructuring/overhauling of DSS and appointment of a substantive DG for the service including retirement of some top directors. A well placed source told The Nation that: “Daura is still in a safe house where he was debriefed by the police and other agencies. But it is only the President who can determine his fate. Continuing, the source said: “the President needs to give approval for either the release of the former DSS boss or his trial for any infractions spotted. “Some forces are also pushing for the reinstatement of Daura or his redeployment to another agency. It is always difficult for any government to reverse itself on any issue, even if there are glaring errors, but the final say lies with the President. “Don’t forget that the Acting President assured the nation that all those involved in the August invasion of the National Assembly will be punished. “There might be some restructuring/ overhauling of DSS and appointment of a new substantive DG. Some directors might also be retired to pave the way for a new DG. “It is too early to say whether or not the acting DG of DSS, Mr. Mathew Seiyefa from Bayelsa State will be confirmed. “Seiyefa missed a similar opportunity to be the DG of DSS in 2010 during the tenure of ex-President Goodluck Jonathan. He lost out to ex-DG Ita Ekpenyong.